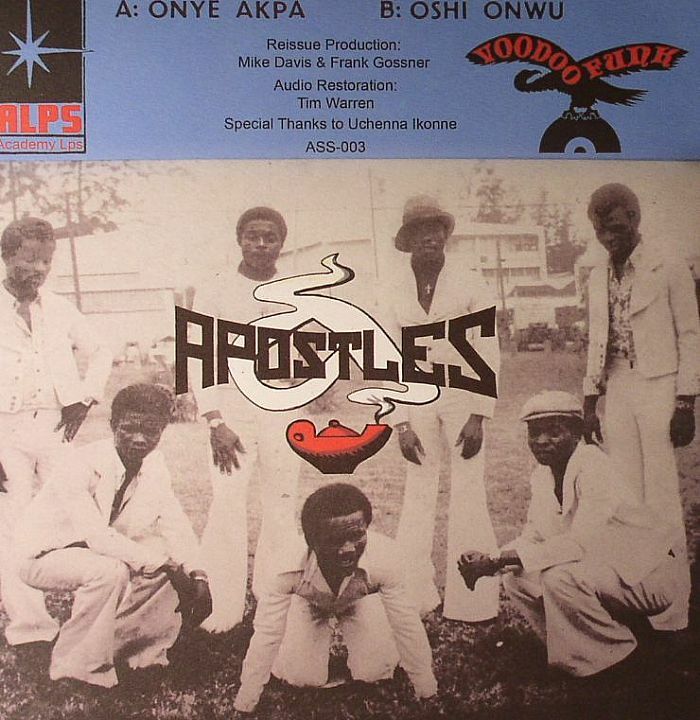 The APOSTLES Onye Akpa vinyl at Juno Records. Released with the help of Voodoo Funk's legendary African music digger Frank Gossner, this offering of vintage Nigerian afro funk from Academy Records has been officially licenced and remastered with glorious results. 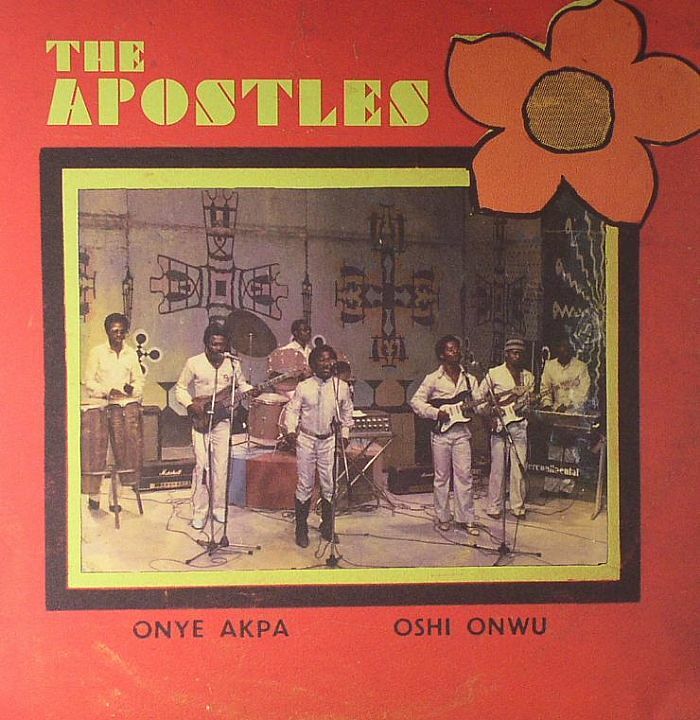 The Apostles were best known for their string of folksy hits in the mid 70s and early 80. However preceding this period the band made more funk orientated guitar-driven monsters, of which two tracks are presented here with this reissue of "Onye Akpa" and "Oshi Onwu". Both cuts are deep fried in simmering organ and distinct rhythm guitar licks; two wonderful vocal afro groovers for fans of Soundway and the like.